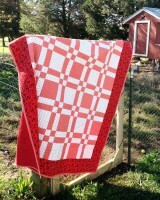 I just love this fabric line by Moda called Paisley Park. 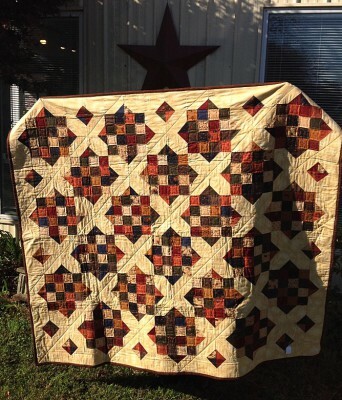 The colors are so rich, and I chose to use a marbled gold/buff as my constant in the pattern by Missouri Star Quilts: Goodnight Irene. The rich brown back has a textured crackle print. 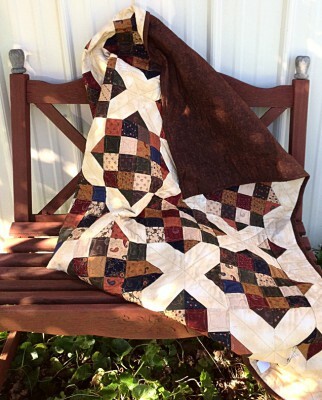 This lap quilt fits in so many country decor styles. 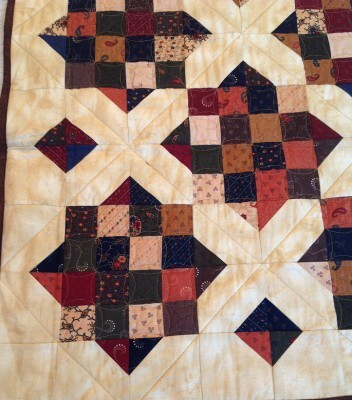 I chose an orange peel pattern for the quilting in the squares, then just quilted down the middle of the cross patches to tie it all together.